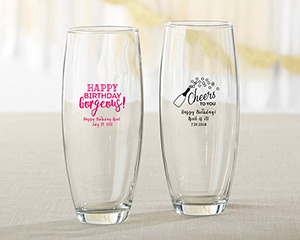 Personalized glassware is a fun and thoughtful favor your friends and family will love taking home with them after your birthday party. 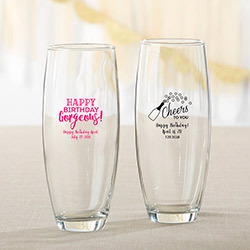 With Kate Aspen's Personalized 9 oz. Stemless Champagne Glass, we can add your custom details like name or party date, and then print them with a sassy saying or fun design.